Ashland Art Center is located at 357 E. Main Street between Second and Third Streets. Our gallery showcases the work of local artists and has two levels of working artist studios that serve as exhibition spaces where artists work and offer their art for sale. The Art Center offers an exciting line-up of classes and workshops in drawing, painting, printmaking, ceramics and more as well as uninstructed life drawing and ceramic studio time. Ashland based glass artist Daniel Seffinger will be displaying his glass art as featured gallery artist for the month of October. He will hold a demonstration on First Friday, October 6th, 5:30 in the AAC classroom. He will discuss the processes he utilizes in making his kiln formed glass canes, murrines and stringers which are used as design elements in a number of his art pieces. Using glass stringers, people will have the opportunity to experiment with their own design lines in order to see what kinds of tapestry patterns they create. 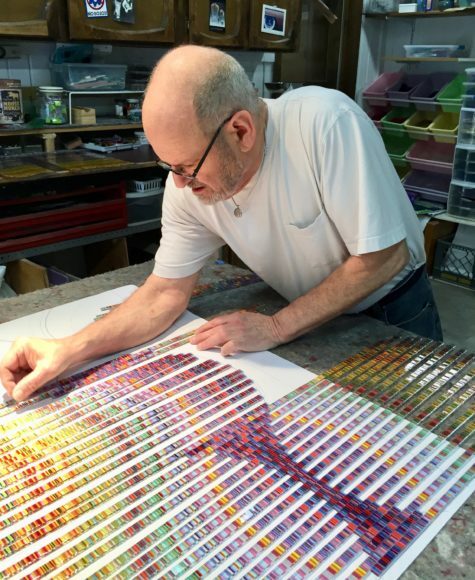 Daniel will also show the individual stages involved in the process of producing kiln formed glass canes and murrines that are used as design elements in his art pieces. became a more serious photographer in 2005 after learning that he was adopted and discovered he had a rather large family in Sweden. Now with an excellent reason to travel, he has been to Sweden several times. 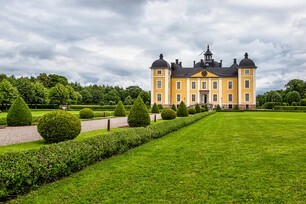 Most recently he has been focusing on “Castles and Palaces of Sweden” and has chosen three to show at the Photographers Gallery during First Friday, October 6th. Two watercolor artists experimenting with the creative process to bring the new and unpredictable to life. 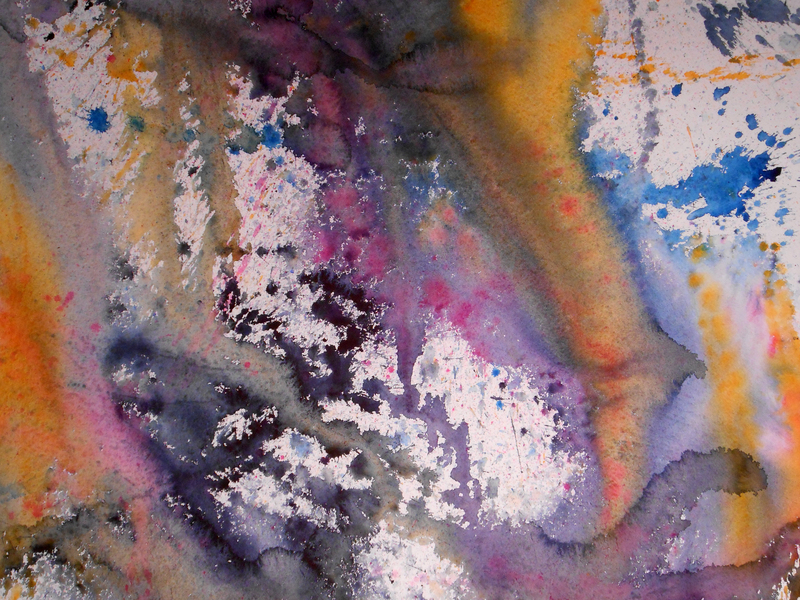 Elaine’s piece is still “in process,” so we hope you will come to First Friday to see where this takes Elaine. 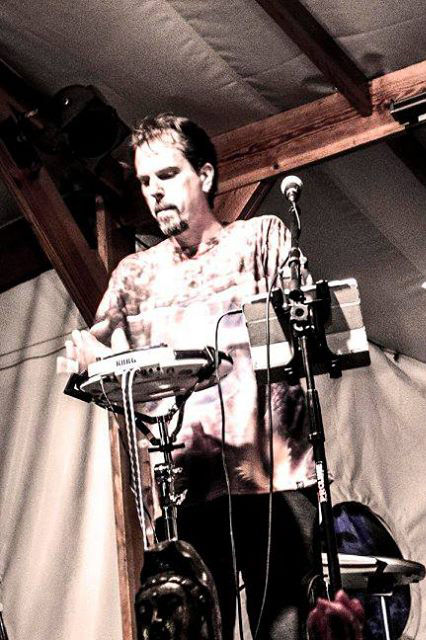 Martin Ball is an eclectic multi-instrumentalist and regular feature of First Friday events in Ashland where he performs improvised genre-mixing instrumental music with guitars.